During his tenure as Director of the Cheltenham Science Festival, it has become one of the largest science festivals in the world. 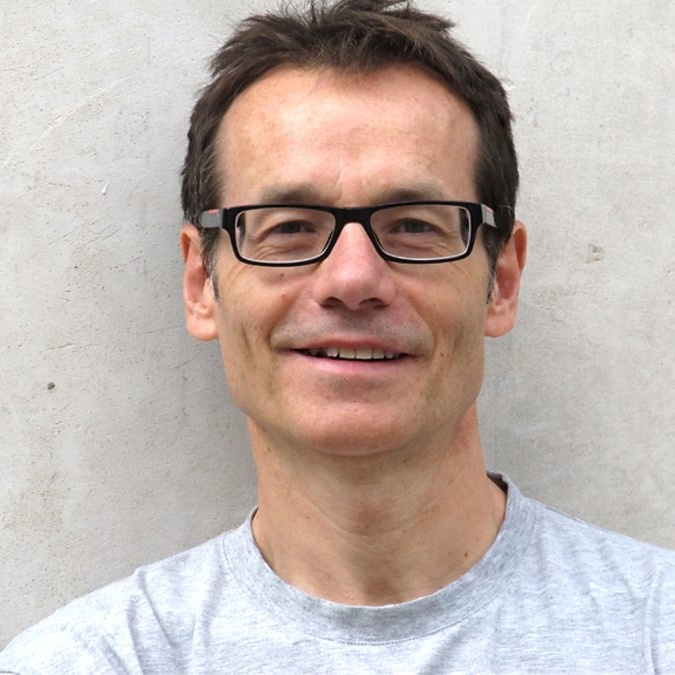 In 2015 Mark was awarded the Neuroscience Prize for Public Understanding from the British Neuroscience Association, ‘as someone epitomising the best of public engagement. Through a multitude of TV and radio programmes, directing the Cheltenham Science Festival – alongside an active and highly successful research career – Mark has well and truly taken neuroscience beyond the lab and into wider society'. Previous winners included Oliver Sacks and Sir Terry Pratchett. In 2013 Mark received the Davies Medal from the Royal Photographic Society for a significant contribution to the field of imaging science. Mark has also received the Alumni Achievement Award, which is given to the University of Salford’s most notable and successful graduates. For his contributions to communicating science, Mark has received the Biosciences Federation Science Communication Award and was made a Fellow of the British Science Association. Mark has a long-standing association with the Cheltenham Science Festival. He was involved at the inception of the festival, served as Director for 8 years and is the Chair of the Festival. He has developed a series of experimental events specifically for the Festival including, Brain Scan LIVE and Brain Control LIVE as well as installing an MRI scanner for Become an Imaging Scientist. 2016: BBC 4 Colour Episode 3: Beyond the Rainbow. The colours that we see are only a fraction of what's out there. Beyond the rainbow there are colours invisible to our eyes. To see the universe in a whole new light, Mark describes new way to see our self. Ultimately, by harnessing all the colours there are, researchers are beginning to image the human body as never before, revealing new ways to treat disease. 2015: Compact MRI and multimodality. An interview with Bernard Siow- part of the thought leaders series: Mark Lythgoe from CABI talks to Bruker about the advantages of having an easy to use compact MRI system and an array of imaging modalities to work with. Read the full interview here. Mark talks to Intelligent Life magazine about the cutting edge techniques being used at the Centre for Advanced Biomedical Imaging to look at biological processes in more detail than ever before. Professor Mark Lythgoe talks about the frontier research at his centre and the thrill he gets from it. As well as a scientist, he is also an intrepid mountain climber and believes there are parallels between the experiences of a mountaineer and those of an inventor of new views of the human brain and body. Professor Lythgoe talks candidly about his unconventional journey and struggle to make a successful career in science which took him through making plastic pipes in a factory, training Israeli attack dogs and working with Australian Aboriginal people. He describes the deep sense of failure which powered with his progress once he had a foot in the laboratory door. Mark also discusses his collaborations with artists on sci-art projects. He says one film project about a young girl with a severe brain condition helped to make him the scientist he is today. 2013: Easter Eggs Live! Channel 4. Researchers at the UCL Centre for Advanced Biomedical Imaging (CABI) embarks on a rather unique ‘Easter egg hunt’ and have been scanning chicken eggs for a new Channel 4 programme: Easter Eggs Live! CABI scientists have used magnetic resonance imaging (MRI) to peer beneath the shell of a developing chicken egg to visualise the growth and position of the chick as it prepares to hatch. 2011: Erased Minds and Spotless Memories. BBC Radio 4by Dr. Mark Lythgoe investigates the science of memory erasing. For Radio 4, Dr Mark Lythgoe investigates the science of memory erasing. In a Hollywood movie it's a simple choice. You take the blue pill and wipe away all those unpleasant memories that are hard to deal with. Or you take the red pill and bear their burden, possibly forever. This is not Hollywood -but soon that choice could well be yours. Captivated by the media headlines over the past few years claiming scientists can now 'erase bad memories', neuroscientist Dr Mark Lythgoe travels to New York to examine the latest research in memory modification. Listen to Erased Memories and Spotless Minds. Synopsis: What can the technology of brain scanning tell us about mental illnesses such as clinical depression and schizophrenia? In the future, will brain imaging improve the outlook for individuals with these conditions? As neuroscientist Mark Lythgoe discovers, brain scanning has been essential in the development of an experimental brain implant to treat severe clinical depression. It is also being used to help the therapy of some people with schizophrenia who hear voices. Mark asks if brain imaging machines will ever be routinely used to manage the care and treatment of individuals with serious mental health problems. Synopsis: The science verses art debate started nearly 50 years ago when British scientist and novelist CP Snow gave his famous speech The Two Cultures. In it he lamented the breakdown of communication and understanding between the opposing sides. In this series of two programmes, neuroscientist and arts enthusiast Mark Lythgoe looks into the worlds of science and art to find out if they’re still poles apart. Synopsis: Follows neurophysiologist Dr Mark Lythgoe and physicist Dr Jim Al-Khalili as they try to discover whether there is a correlation between the physical appearance of the brain and the potential for genius by studying the preserved brain of Albert Einstein. Synopsis: Mark has written a diary account of his life as a scientist in "Science, not Art", in which a young generation of scientists kept diaries over several months to reveal, with an unusual honesty, the frustrations, comic ironies and occasional breakthroughs in the charged and highly competitive world of contemporary science. What do mathematicians actually do? How are hypotheses dreamed up and then tested in space physiology, climate change or neuroscience? And how does an intense commitment to understanding more about the world impact on scientists' private lives? (Science, Not Art: Ten Scientists' Diaries; Editor Jon Turney; Calouste Gulbenkian Foundation; ISBN: 0903319985, June 2003). 2007: Inside Intuition. BBC Radio 4 The neuroscience behind intuition. Presented by Dr. Mark Lythgoe. 2006: Say what you think. BBC Radio 4. Neuroscience of learning a second language. Presented by Dr. Mark Lythgoe. 2006: Get smarter in a week. BBC1. Presented by Dr. Mark Lythgoe. Neuroscience of brain learning. 2005: Is this the one? BBC3. 8 part series. Presented by Dr. Mark Lythgoe. The science of love, attraction and compatibility.